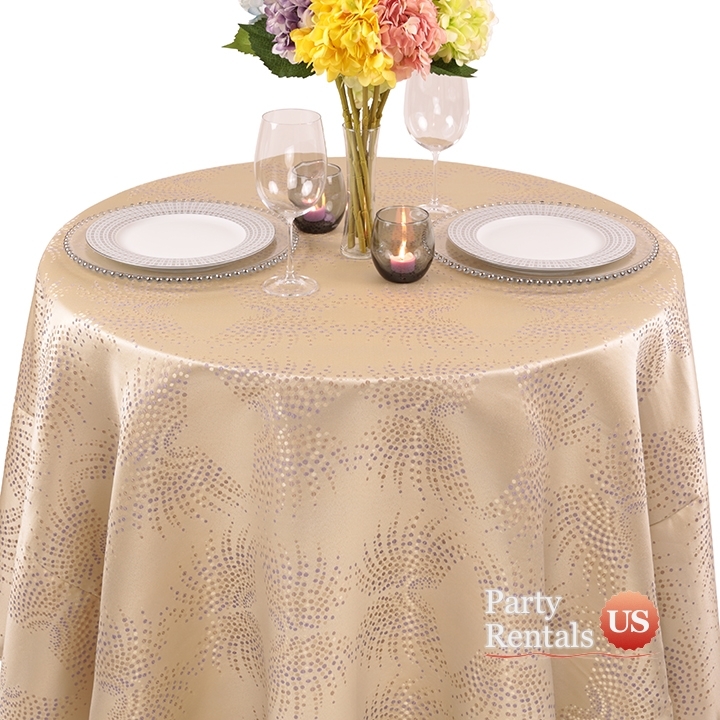 To make a bold statement at you next event, go art deco with this tablecloth. The pattern is embroidered onto the fabric and will bring a shimmering appearance to the room. Great for cocktail parties or other special occasions that require unique flair, rent one to draw attention to a special table or rent a few and treat all of your guests to a little pizzazz.